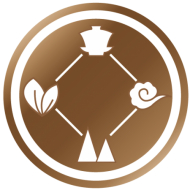 @pardesitrotter @pardesitrotter I haven’t had a chance to welcome you to Tea Trade yet, but we are happy to have you as one of our newest members. Hi @buddhamomtea Welcome to Tea Trade. If you need any help with anything, just let @jackie or me know. If you are interested in starting your own tea blog, you can do that here https://teatra.de/directory/create/ (if you run into difficulties anywhere, just let me know, I handle all the technical stuff). Hi @buddhamomtea Welcome to Tea Trade. If you need any help with anything, just let @jackie or I know. If you are interested in starting your own tea blog, you can do that here https://teatra.de/directory/create/ (if you into difficulties anywhere, just let me know, I handle all the technical stuff). Quite some time ago, I had closed off registration to new members for Tea Trade. I did this because I had little time to manage the site and the only registrations we were getting (mostly) were spammers. I spent far too much time dealing with spammers than I did with anything else. And yes, it is waiting for us to understand him. I made a few minor updates to Tea Trade. Was tired of the old look-and-feel. This is more modern and fresh looking. Hopefully, @jackie approves! I like the new feeling. @jackie I will have to ask a Chinese friend to see if she can find stuff. And I have several ideas regarding this company disappearing but I prefer facts. @jackie here… no but somewhere, yes. @jackie, they are not from Palais des Thés but Theodor. Have been testing out a live chat box at the bottom. Some folks were telling @jackie that they missed the days of having that so I’m working to bring back a chatroom function. I anticipate a welter of comments with additional quotes. Let me start of by quoting @Jackie Davenport “It’s OK to start out with tea and end up naked” . Beat that!